1) Cosmetic Plastic Surgeons can sculpt your nose and make it look better, but they have to work with what they are presented. In other words, you need to reconcile desires with reality. What do you want and what will my nose allow me to have? 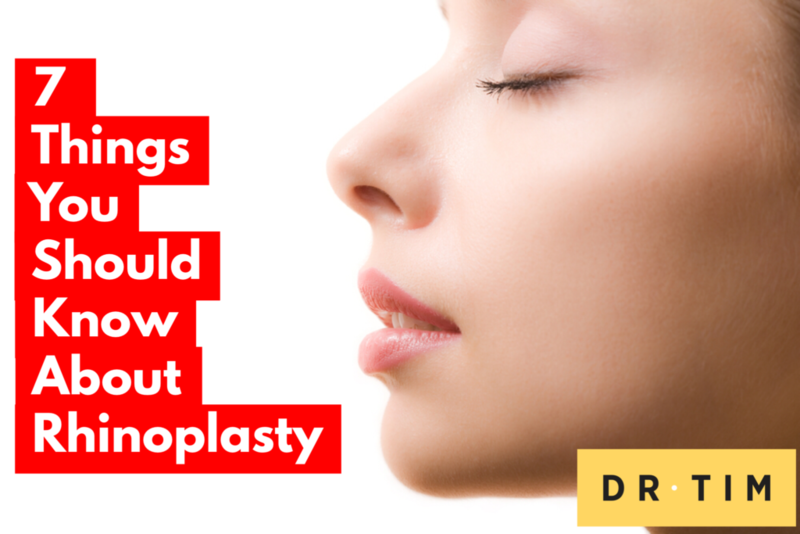 It’s ﬁne to provide your cosmetic plastic surgeon with photos of noses you like, but keep in mind that you may not always get what you want but actually what you need and what is in keeping with your framework. 2) Perfect noses don’t exist after rhinoplasty. It’s likely that you’ll still ﬁnd ﬂaws, possibly any bump on the nasal bridge or an uneven nostril. Try to keep in mind that you’re going for improvement, not perfection. 3) You may have “raccoon eyes” and look a bit like an Egyptian mummy for the ﬁrst few days post-operatively. If the nose needs to be broken, expect a splint over the bridge of your nose, possible packing in your nostrils and a pad taped under your nose to catch drainage. 4) Don’t wear glasses/sunglasses for the ﬁrst six weeks post-operatively, so that the nasal bridge can heal correctly. 5) You may ﬁnd this surprising but rhinoplasty is usually painless, especially if you stay on top of your medications. You will, however, be tired and possibly nauseas. Your breathing may have been improved if a deviated septum was ﬁxed at the same me. Sometimes, breathing may be made signiﬁcantly worse after the procedure (this may result in a very nasal voice for a few weeks to months) but generally improves once the swelling subsides. 6) What most people ﬁnd amazing who have had a rhinoplasty is how many family members and friends won’t notice you’ve had anything done despite having your nose reshaped and many weeks recovering. 7) Right after your new nose is revealed, you don’t look exactly like yourself and that can feel strange and you may feel a sense of disappointment. You need to give things me to settle down: usually 70 % of the result is seen at 3 months and typically you have to wait 12 months for the ﬁnal result.